Eleven NATS employees have raised £7,500 for charity by cycling 500 miles in five days – with more donations still being counted. 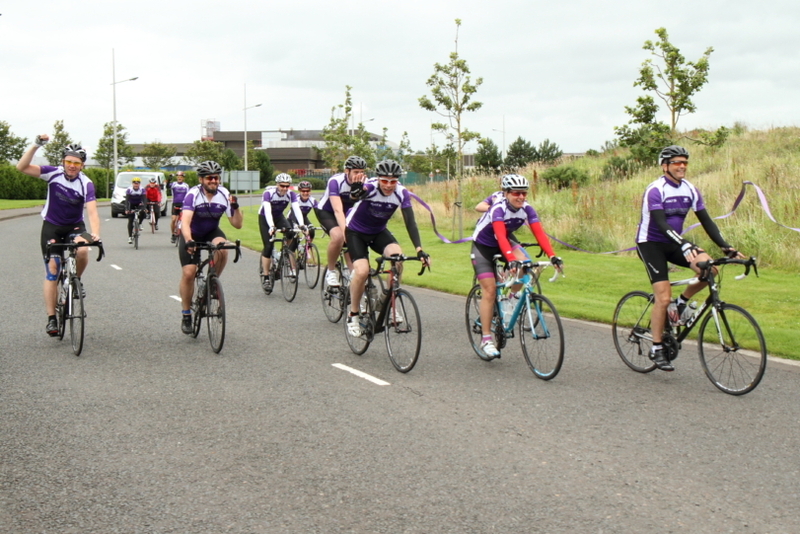 The team from NATS’ Information Solutions (IS) department pedalled from the air traffic control centre in Swanwick, Hampshire, to the Prestwick Centre, Ayrshire, to raise the money for the British Heart Foundation, Ayrshire Hospice and the Fareham and Gosport Basics Bank. The cyclists were assisted by a support team of four. Kathrine Maynard, Fundraising Manager at the British Heart Foundation, said: “It’s only because of dedicated people like the NATS bike ride team, that take on incredible challenges, that the BHF can continue its vital work fighting heart disease. Ron Swanson, Assistant Fundraising Manager at Ayrshire Hospice, said: “The Ayrshire Hospice is truly indebted to NATS for their invaluable support, particularly over the past year when NATS Prestwick have raised over £37,000 in aid of the hospice! NATS has raised hundreds of thousands of pounds for a number of charities over the years through various fundraising efforts. Through its Footprint Fund (NATS’ Corporate Responsibility Fund), which was launched in 2008, NATS has donated almost £200,000 to more than 300 charities. The Footprint Fund donated £31,000 to 53 local causes last year alone. While 8% of NATS staff made ‘Give As You Earn’ donations using the company payroll giving scheme, donating £133,500 to the charities they care about last year. More photos are at the NATS Flickr site.